It’s been a while since I posted here, but now that I am back all in on the office market, you will be seeing more from me. 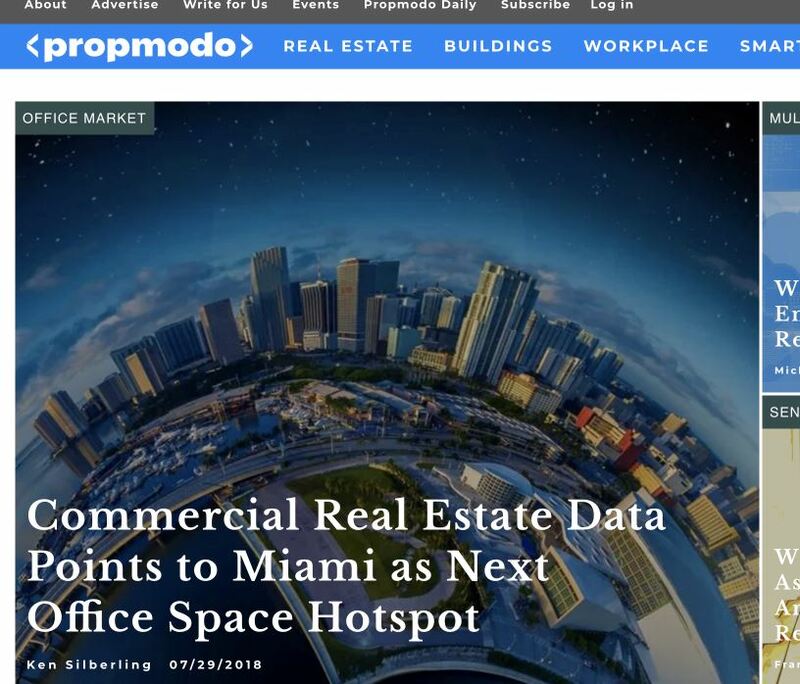 I wanted to thank to my great marketing and PR team at Truss and the folks at Propmodo for carrying my article: “Commercial Real Estate Data Points to Miami as Next Office Hotspot” in which I explain why Miami / South Florida is a great market for Truss – we are a web-enabled tenant rep broker. And it starts off with a shout out to the SFOBA. Propmodo is a national blog that examines how technology is changing the way we acquire, manage and use commercial real estate. The article covers three waves of growth in South Florida and looks ahead to a possible fourth. Pretty cool being the lead story. I’ve been blogging on and off on various platforms including this one since 2010, but this one of the highlights. We’ll see you on August 16 at noon at Sawgrass Centre 1550 Sawgrass Corporate Parkway with Sandra Anderson, JLL and MM properties.